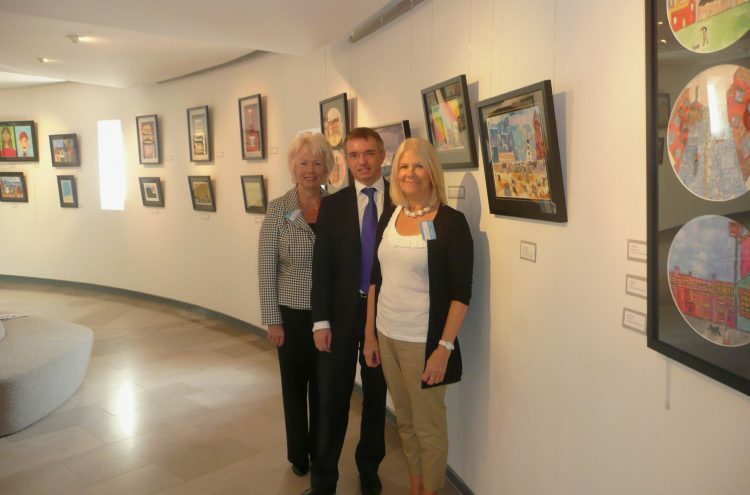 Fylde MP Mark Menzies dropped into The Fylde Gallery for a private viewing of the Mr Lowry in Lytham exhibition. Events Co-ordinator Barbara Weston, who has been involved with the competition from start to finish, showed him round the various exhibits and explained the thinking behind the project. Organised by Fylde DFAS, the exhibition, has been enormously successful. Over 700 visitors were officially recorded by DFAS invigilators but many many more also came along to the Gallery outside invigilating hours. The Visitors’ Book is packed with complimentary messages!